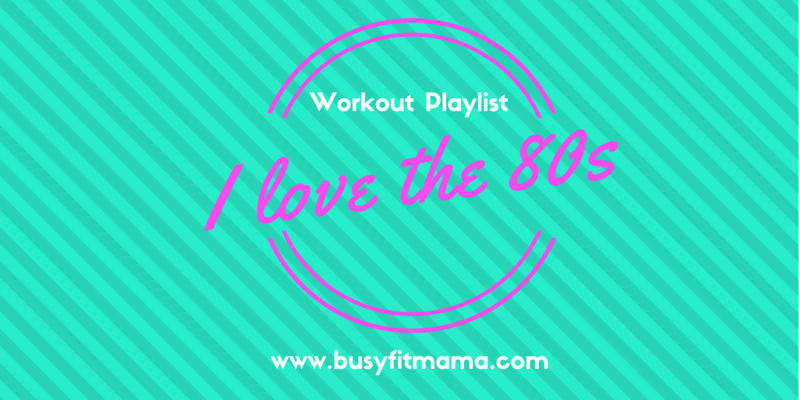 My workout music playlist needs a bit of an update but this time I’ve had a bit of a throw back to my youth; the 1980s! So it’s all school disco’s, questionable fashion sense, all things neon, Athena posters, Sony Walkman, Miami Vice, MTV, Ferris Bueller’s Day Off and new romantics (well for me anyway). Do you have a throwback decade when it comes to you workout music? Happy New Year! It’s 2017 and a fresh start for me fitness wise after the usual over indulgence of Christmas. Do I feel at all guilty? Nope! Well just a little but isn’t that what Christmas is all about. So now it’s time to get back to the Gym and getting rid of those few extra pounds I’ve managed to pile on. So I’ve put together a new workout music playlist to help me get back into the swing of things. 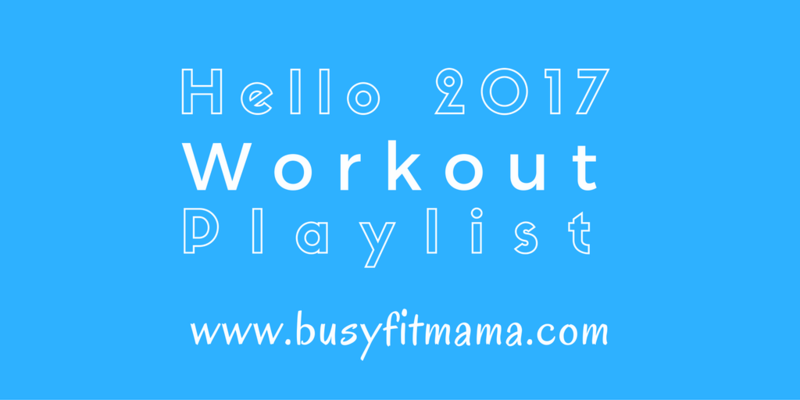 I’ve also put together a New Year Running Music Playlist, which is slightly more upbeat but just as good for the Gym. What workout music gets you motivated to exercise? 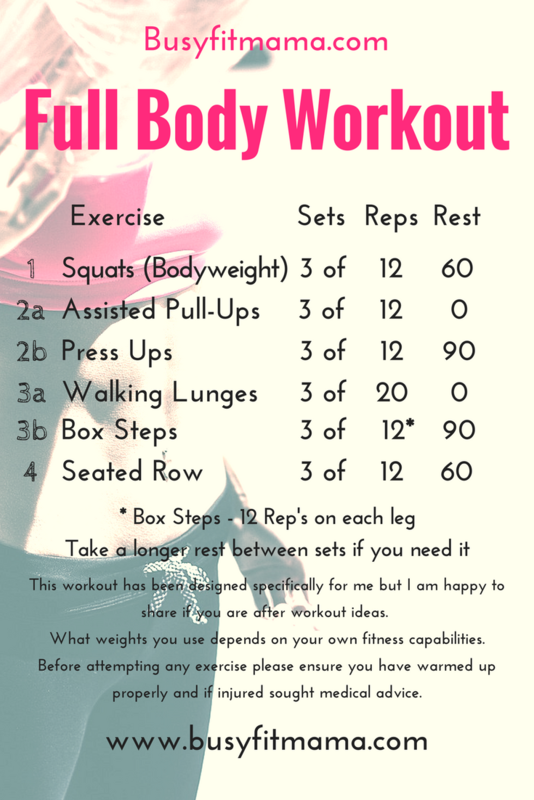 This is my second of 2 full body workouts. This workout and My Full Body Workout #1 have been put together on the basis that although I might be short on time I can still get in a decent workout. No supersets involved, mid-range reps for me have allowed to push up the weights up for some of the exercises. With warm-up and taking my time, this work out takes me roughly 40 mins. I’ve been aiming to do this in rotation with workout #1 twice a week. so far that’s worked. On the days I’m not at the Gym I try and get a run in or a HIIT session. For ideas for HIIT check out my Pinterest Board – The Body Coach Workouts. How do you fit your fitness into daily life? 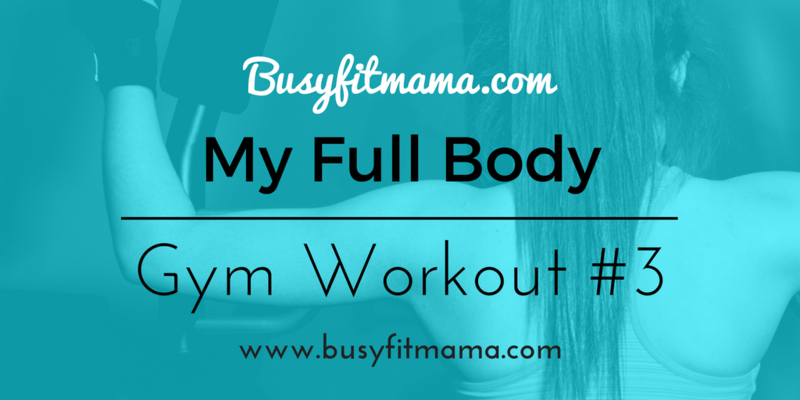 Have you had to adapt your fitness routine when things are hectic or does it get put on the back burner? All the views expressed on this blog are my own, I am an experienced Runner and train regularly at the Gym. 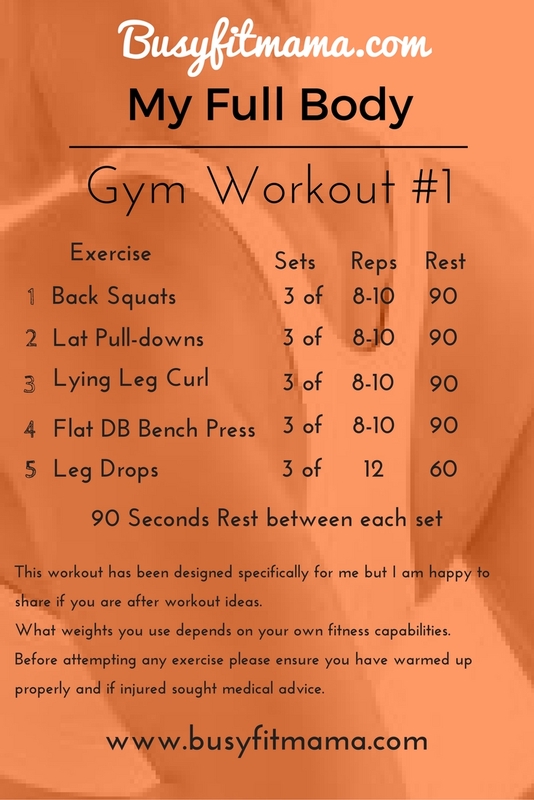 All my workouts have been designed to suit my own fitness capabilities and goals but I am happy to share for those looking inspiration, workout ideas or motivation. Making small changes can have a big impact on your fitness and lifestyle. Making healthy choices as and when are easier to maintain instead of adopting a whole change of lifestyle in one go. Think evolution not revolution! Changing things gradually means you are more likely to stick to them. I lost about 28lbs a couple of years ago through eating healthier and adopting healthy habits; my blog post How re-thinking my diet led to sustainable weight loss tells how I managed to do this. I have been able to sustain my weight loss but bad habits are starting to creep back in. My Holiday is a few weeks ago so I’m making the effort to re-address the situation; one step at a time. 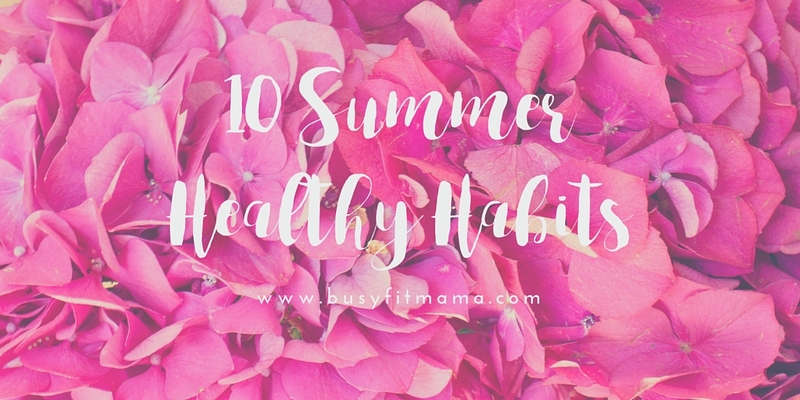 Here are my 10 Healthy Habits for the Summer! Sticking to healthy habits isn’t always easy. Write them down in a list, stick them on your fridge door. Focus on why you want to adopt these healthy habits, I always do this when I am struggling or I am hitting a brick wall especially when a huge slice of red velvet cake is threatening to de-rail me! What ever your healthy habits may be, start today not tomorrow, next week or next month. Do you find it easy to incorporate healthy habits into your lifestyle? How do you maintain healthy habits? The School Summer Holidays are nearly upon us. I am lucky to work term-time. Two of my kids are in their early teens so whilst I try and get them to do stuff with me 90% of the time they’ve made other arrangements! Normally I tend just to worry about how I’m going to get through the 6 weeks that the kids are off school but now as they are slightly older they don’t need me as much to entertain them. But I tend to forget that it’s my holiday time to, my school-run free time, my own break from the routine. 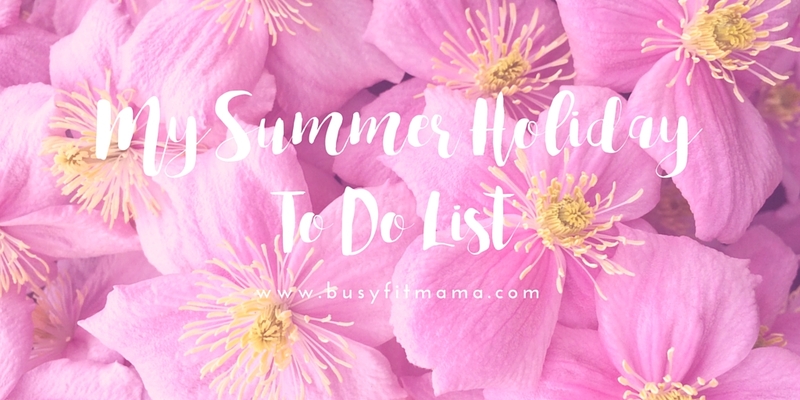 So this year, whilst as normal I will plan the usual stuff for my kids I’m going to make a conscious effort to use this time to accomplish some of the things I’ve been wanting to do but keep putting off because other priorities take over. 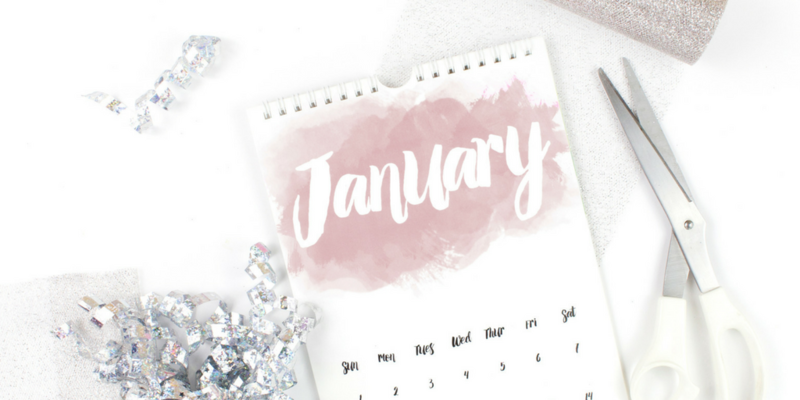 One thing blogging has taught me is a good starting point is to write things down, set some goals; what do I want to accomplish and then I’ve got something to focus on achieving. So here goes! Note to self; cleaning out the kitchen cupboards or painting my son’s bedroom is not on my Summer Holiday to do list. This is purely an all about me list! My getting my stuff done list! Brush up on my photography skills. I read a fab blog called 16 Photography Projects by LaShawn at Everyday Eyecandy and it’s inspired me not only for my blog but because I hardly take any photos anymore. Do some baking with my daughter; we’ve been adding loads of fab recipes to our Pinterest Boards in preparation for this already! She’s the cook, I am Kitchen Porter and Chief Taster. 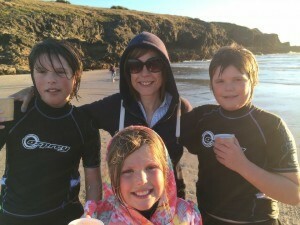 Past summer holidays I’ve spent most of it entertaining my kids and wishing the rainy days away. This time I hope to get something out of this time off myself. 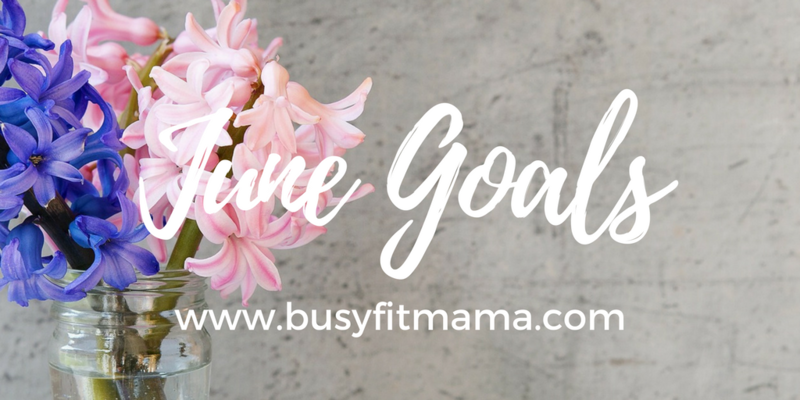 Yes this list is all about me, but I think we are all a little guilty of neglecting our own personal goals and needs, so maybe it is time for to readdress the imbalance a little. I suppose writing it down is a starting point! What do you think? When you have downtime do you sit and chill or aim to get stuff done?